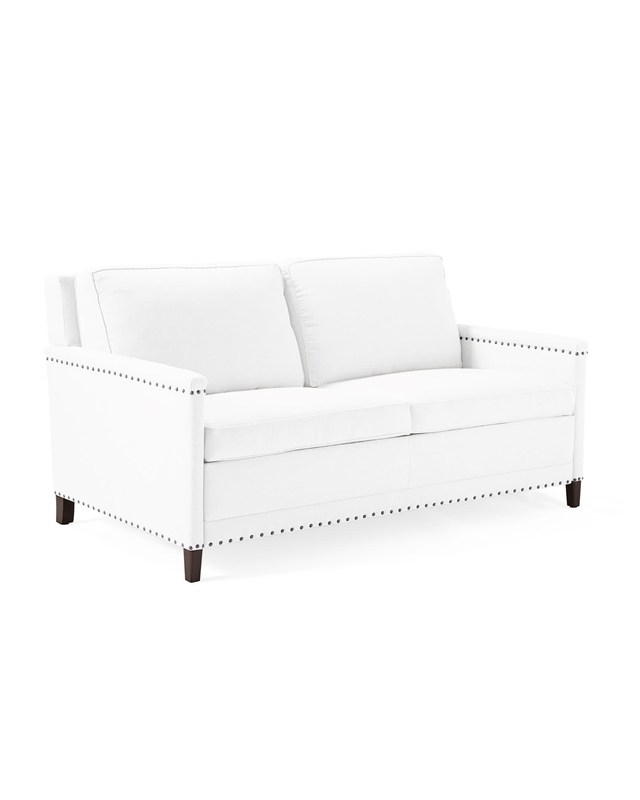 Spruce Street Sleeper with Nailheads - QueenSpruce Street Sleeper with Nailheads - Queen, alt="Spruce Street Sleeper with Nailheads - Queen, "
Print Sophisticated but never stuffy, this has a cosmopolitan appeal that makes it a house favorite. The look is tailored and chic, with refined proportions that don't sacrifice comfort for style. 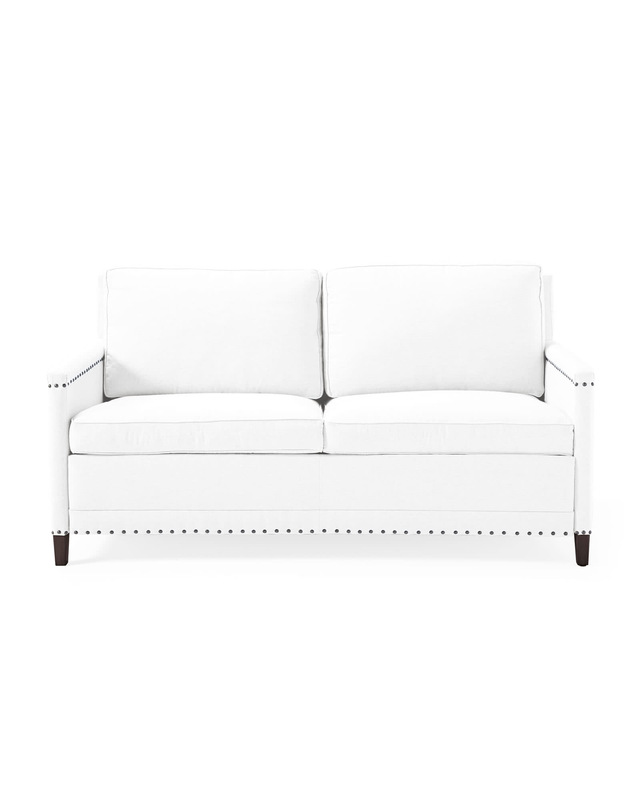 Every last detail was considered, from the distance between each hand-applied nailhead to a just-right seat depth. The pullout mattress is a boon when guests are staying over. 69”W x 38”D x 37”H overall. 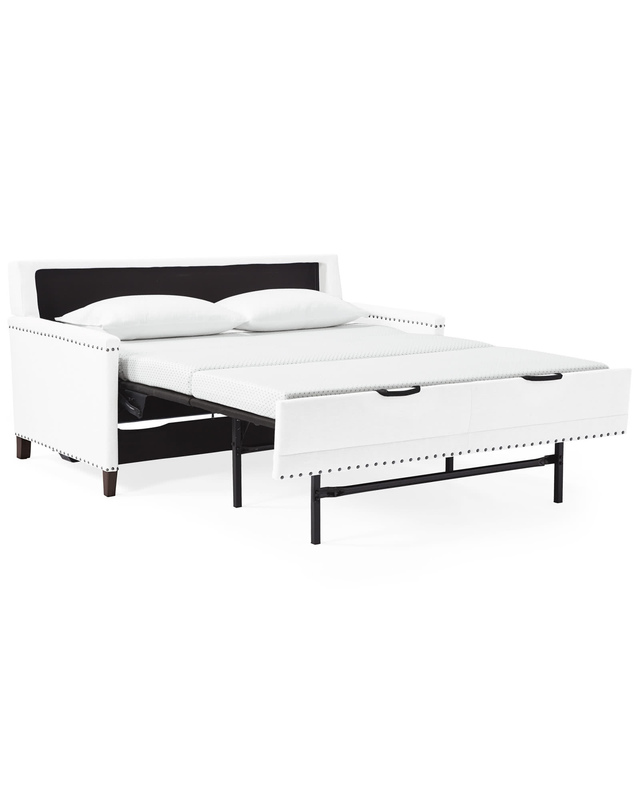 Queen-size mattress: 60”W x 80”D x 4”H.